Lately I was involved in a security and penetration scan at a customer servicing in Healthcare, because they store privacy sensitive information they need to apply to certain security regulations which are audited on a regular basis. Based on the results of this scan I will provide some findings and tips that you can use to further enhance the security of your XenApp environment. This tips are primarily focused on XenApp in combination with RES Workspace manager, but elements can also apply to other environments containing other UEM products. Part 1 consisted of multiple scans for weaknesses like missing patches and gathering NTLM hashes to decrypt passwords etc, keypoint here is to consider disabling cached credentials for internal pc’s which doesn’t leave the building or limit the amount of cached credentials (the default is 10 cached credentials on Windows). 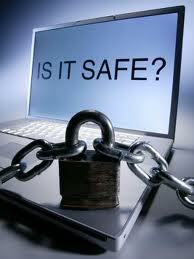 And of course use strong passwords so when they have access to the hashes the decryption is very time consuming. They use different tools and methods to decrypt hashes, one of them is John the Ripper and pre calculated rainbow tables. When they got access to the password hashes its amazing (and scary) how fast the hash can be decrypted into a plain text password. Part 2 consisted of a DNS lookup to gather information about external accessible elements of the infrastructure, after they are identified they try to logon using default user names and passwords and scan for other weaknesses. This customer uses Netscaler in DMZ in combination with SMS Passcode authentication, so they didn’t come far on that part. What should be taken into account is webmail\active-sync traffic (which often doesn’t have 2-factor authentication) in combination with password lockout policies, a hacker can perform a denial of service by trying lots of different usernames and wrong password to intentional block users in AD (especially admin accounts). Part 3 consisted of tests on the XenApp environment while logged in with a normal user account, the following tips are derrived from findings in this part of the scan. The first tip is about timing, if you are like me you want to put all of the user environment settings such as policies, registry and application settings as much as possible in RES Workspace Manager. If you are configuring things outside Workspace Manager, you lose the single point of management and that’s one of the key points the customer invested in RES Workspace Manager. Well there is absolutely nothing wrong with that, but I will give you an example to think about when security is high on your design checklist. What they did was fairly simple, consider that RES Workspace Manager by design removes all policies at logoff and that it takes some time (seconds) that the policies are applied and before appguard is fully functional when a user logs on. While the workspace composer does its magic, it seems possible to start the task manager through the CTRL-F3 hotkey right after the session is launched (press the hotkey repeatedly after the session is launched). See the following screenshot how this looks like. The timing issue with taskmanager will be fixed in a upcoming service release of RES Workspace Manager, expect a custom executable to test with shortly. (Please note that this user session hasn’t got access to the command prompt and that access to local drives are strictly prohibited). Note : Check this rule out if you upgraded your environment till this point, because during upgrade the rule is created and enabled by default, this is done to avoid security warnings thrown at your users after the upgrade, you can run the rule in logging mode for a while to identify what the impact will be in your environment. So if you want to harden your environment you should disable this rule. Another way to tighten the security of your RES environment is by restricting a managed application to be only launched by Workspace Manager itself (see below screenshot). This prevents the managed application to be launched through other applications or unmanaged file types. This example video contains Remko’s macro in combination with this setting, you can see that the authorized process (excel.exe in the video example) isn’t started by RES Workspace Manager itself and thereby blocked from launching after this setting is active. Back to the Office KAT sheet which was used in the security scan, I tested all of this security settings in combination with Office KAT and it happens to be that I could still run the CMD and Regedit instance, I think this is because the macro’s in Office KAT starts a different embedded CMD instance in memory (ReactOS) without reading\executing anything from disk. I think this is why application guard cannot detect it, and this would probably the moment where the virusscanner should kick in. Does it mean that malicious macro’s like Office KAT can put your environment in direct danger? No not really because we still have only user rights and any processes launched from the command prompt will be blocked by appguard. But what might be a risk is that the content of the local drives and the registry is exposed which may contain sensitive information about your infrastructure. 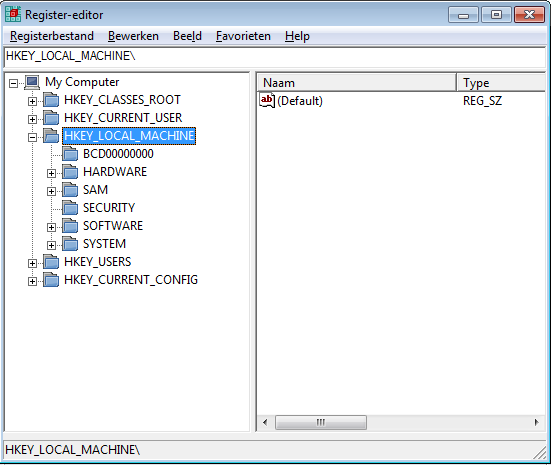 Besides that there is another risk in the way how the default file system in Windows is designed, Tip 3 will go further on this subject but first : how can we prevent this kind of Macro’s from running? – Some virus scanners (also windows defender in Windows 8) detects Office KAT as a thread and places the Excel sheet in quarantine, but there are more variants of this macro’s and not all virus scanners detects them, if you want to rely on the virus scanner pick one that’s designed to detect this kind of malicious macro’s. Also be careful with stripping your virusscanner to optimize performance, it maybe you win on performance but on the other hand you might lose on security. 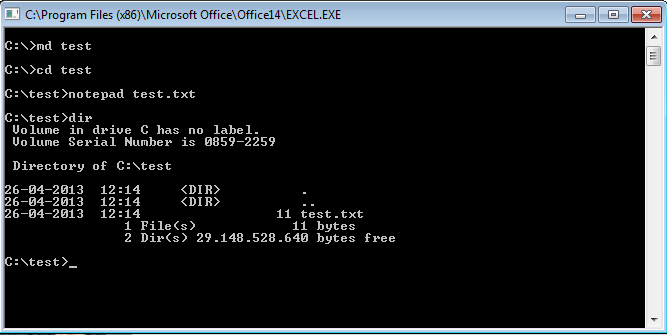 You can download Office KAT at the bottom of this post to check if your virusscanner detects it. This kind of macro’s, which runs malicious code totally in memory (ReactOS in this case), is out of the scope of RES appguard, this type of macro’s should be detected by the virusscanner. (They added to this that there will be an even more tighter security mechanism in the current under development .net version of RES Workspace Manager). By default users can create folders on this disk which will persist after a reboot, when this disk is filled with data the cache file cannot grow any further. This can affect the XenApp server during run time but also after a reboot! I think the most recommended way to address this risk is to accept that users in some way can access the local drives of the XenApp server, you can hide them and narrow the risk that they can be accessed through Tip 1 and 2 for example, but it’s hard to totally prevent it. Some applications for instance doesn’t respect the drive restriction policies and can expose access to the local drives. To prevent write access to the local drives you can use the RES Workspace Manager security feature called Read-only blanketing (RoB), this feature transforms the local drives to read-only drives without messing around with the default ACL’s, it’s there in Silver (security) and Gold edition, so if you are not using this feature yet you might consider it! 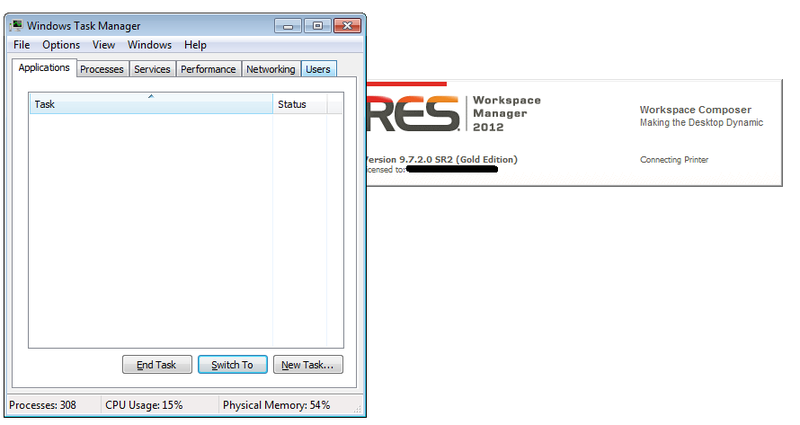 In this blog post I showed you some simple tips to further enhance the security of your XenApp environment in combination with RES Workspace Manager. Hopefully this information was helpful for you when security is an important consideration in your environment or design. How tight you need to secure your XenApp environment depends on the kind of company and type of data you are securing. Most of the time the more secure you make it, the more complex it will become. It’s all about eliminating risks, but I think even more important : accepting risks. With RES Workspace Manager it becomes a lot easier to harden your environment from a user perspective, use the security features and maybe more important audit this features on ongoing basis. 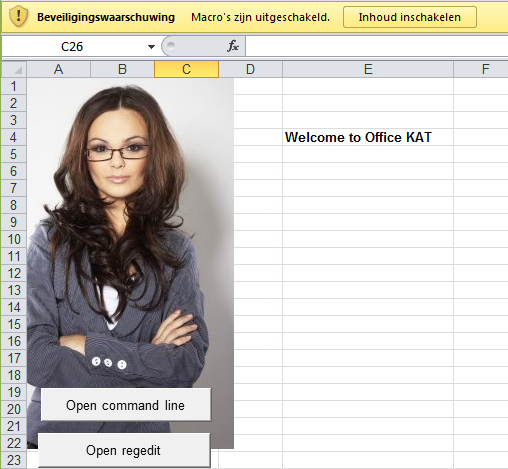 You can download Office KAT here, it’s part of the Interactive Kiosk Attack Tools (iKAT) which contains more useful tools to test the security of your environment. Please be careful browsing this pages because it can contains content and material not suitable for work. Please read this blog post for additional information. This program will open outside of Protected mode. Internet Explorer’s Protected mode helps protect your computer. 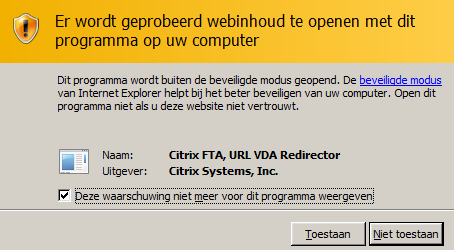 If you do not trust this website, do not open this program. Import this registry key into RES Workspace Manager (loginscript or other environment manager software you are using) apply it to your users and they will not be bothered with this warning message!